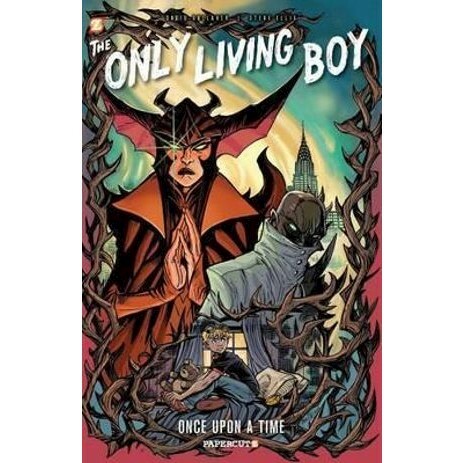 In the third collection of the hit webcomic THE ONLY LIVING BOY, Erik Farrell finds himself at the mercy of the villainous Doctor Once. But, of course, Doctor Once has NO mercy! Surrounded by strange creatures and sinister experiments, Erik's very life hangs in the balance. Even if he finds the strength to escape the hideous laboratory,Erik won't be able to escape his tragic past, or his destiny. Gallaher and Ellis' daring adventure series about an ordinary boy on an extraordinary planet continues in "Once Upon A Time" - the newest book in the acclaimed Only Living Boy series.